The Museum has recently taken steps to become a greener place. Earlier this year a cross-departmental committee formed to review policies and practices, and explore ways to become a more environmentally sustainable institution. Committee participants included employees from the curatorial team, the director of information technology, and even the chief financial officer, among others. The committee’s first ambitious goal was to become certified through the City of Portland’s Sustainability at Work program. This certification entails conducting and implementing pre-determined sustainability practices outlined by the city’s Planning and Sustainability office. 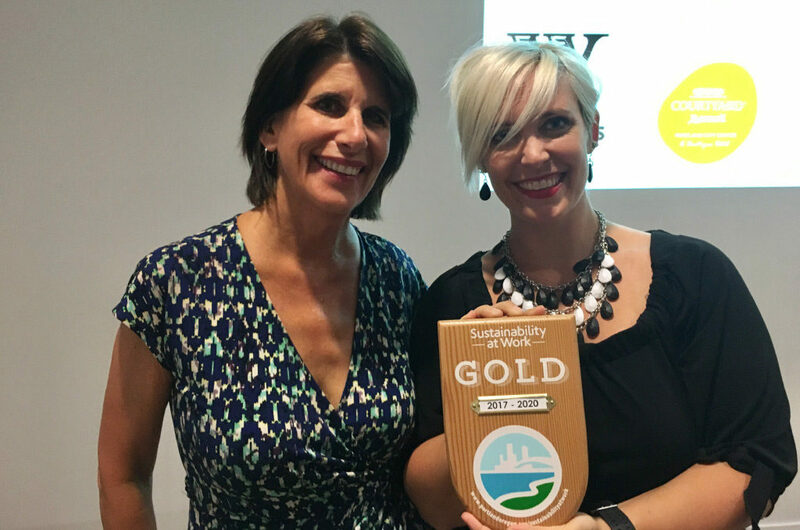 On August 3rd the Museum was honored to have Susan Anderson, Director of Portland Bureau of Planning and Sustainability, present the Gold Status Award during a staff meeting. The green committee members look forward to supporting programs that reduce the Museum’s environmental impact and continually improving our environmental performance as an integral part of our institutions’ strategy and operating procedures.